It is NOT a celebration by any means….100 years on September 1st 1914, at the Cincinnati zoo Martha the living Passenger Pigeon died in her cage. I have attached a few of many articles which are popping now that we find ourselves in the shadow of this sad historic event. These articles are writing by people I admire and are far stronger writers than I. I have chosen to commemorate and bring awareness through means I feel I am far better suited. 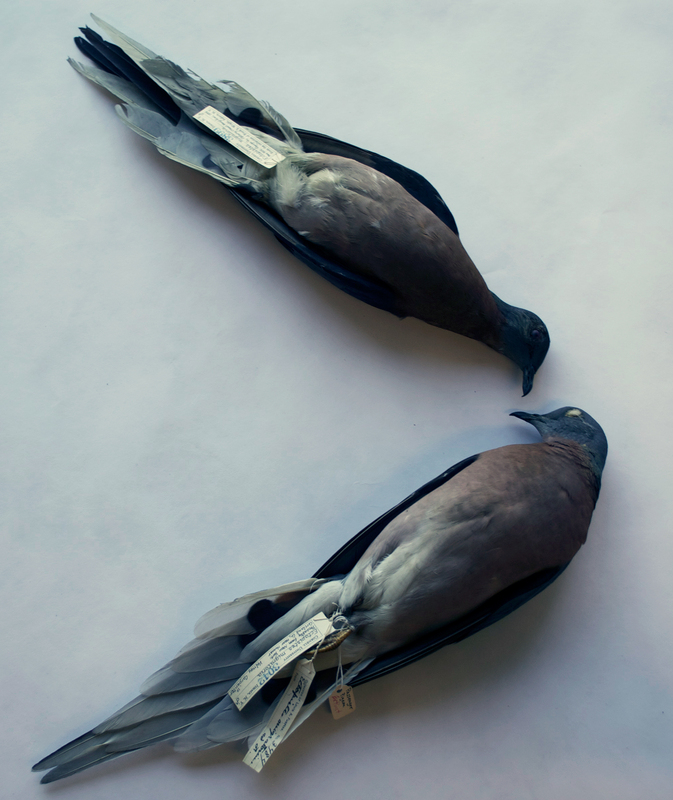 Over the past year I have began to collect and produce a body of art work based on the history of the Passenger Pigeon. Last May while doing some work at Cornell Lab of Ornithology I had the great privilege to openly work with their skin’s holdings to photograph compositions for some paintings I am working on. Here is a photo I took while I was there of two Passenger Pigeons from their collection, placed into Audubon’s composition from Plate 23, 1824 Birds of America. “I have satisfied myself, by long observation, that nothing but the gradual diminution of our forests can accomplish their decrease…..” Audubon.